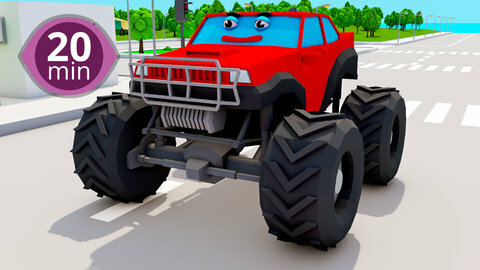 Hit the brakes and settle down for a nonstop time of fun with this collection of 3D car cartoons for children! When a friendly yellow truck see a big boulder on the road, he tries to move it by tying a rope around it. It's super heavy though, and uh oh - a monster truck has bumped into the rope! Can the trucks help each other out and get the boulder away? Find out when you hit play and then, visit SeeZisKids to see more entertaining content for toddlers!